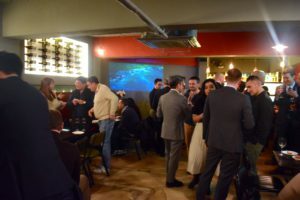 On Wednesday January 30, the Spanish Chamber of Commerce in Korea held its January Networking Night at Le Moulin Seorae wine bar. In addition to our members, students, businessmen and women, diplomats and everyone interested in Spain were welcome at this event. This day, Le Moulin prepared a variety of delicious tapas. 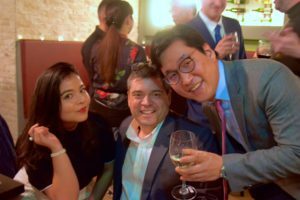 In addition, our member SWS (Seoul Wines & Spirits) offered attendees unlimited wine during the event: Finca La Emperatriz Viura and Finca La Emperatriz Bicycle. 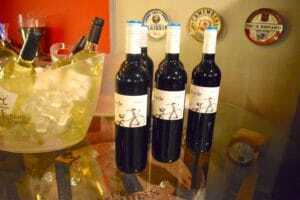 In our traditional give away, SWS provided two bottles of wine and Muse International provided us with two Inedit Damm sets, to be raffled among the attendees. Congratulations to our lucky winners! We would also like to send special thanks to our sponsors for making this amazing event possible: SWS (Seoul Wines & Sprits), Le Moulin Seorae and Muse International.